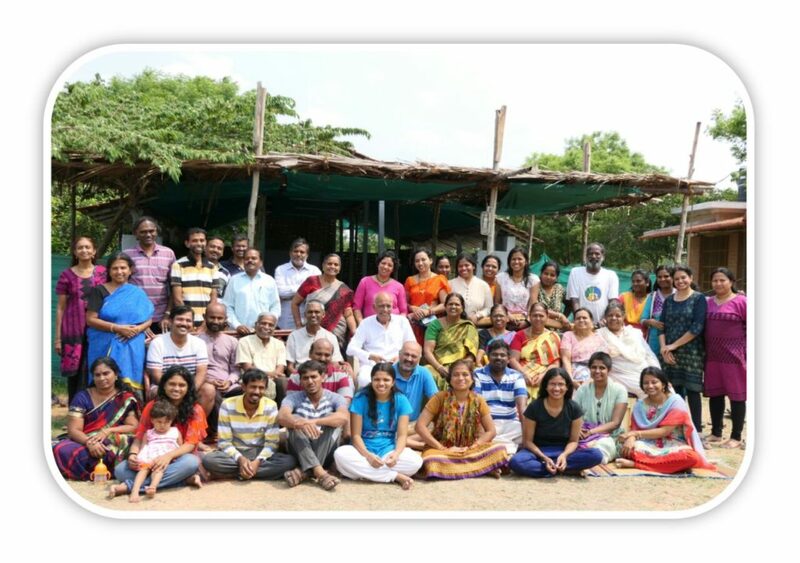 The English camp that ended on March 26th was immediately followed by a camp in Tamizh titled “Iyarkai Vaazhviyal” or Natural Living. About 45 people from different parts of Tamil Nadu and some from other states participated. We generally call people before the camp to get to know them better and also familiarize them with the down to earthiness they are about to experience when they come to such a space. And very often, just as we got to the payment/contribution part, the so far ardent listener at the other end would jump in and say “I know how that works! My spouse/neighbor/friend/relative told me. I love that idea! / I can’t believe it / am so eager to experience it!/ Bless you all”. And many of them are every day people from small towns. We were reminded again and again about the universality of Dharma and the power of reference. It was heartening to see many former students bringing other members of their families and neighborhood to the camp, tuning themselves to serve the space. Tamil. Some of the students from English batch were also moved to stay on and serve the next batch. The spirit of service came full circle on the last day when all the participants decided to put all hands in and take care of rolling back infrastructure like tents, cots and beds and putting them in appropriate storages. About 15 little people joined in for the last two days for a Kids Camp and they pitched in as well. A last gathering and sharing among participants happened followed by a sumptuous lunch. After a series of hugs and good byes and promises to keep in touch, majority of the participants left. The sky darkened and with great light and sound effects, rain poured. A blessing to mark the end of this series of camps. As one of the past regular participant, I am not surprised but thrilled to see the awesome organic growth happening at Akarma(Love the name). Congratulations and hearty wishes for this journey to keep unravelling beautifully.